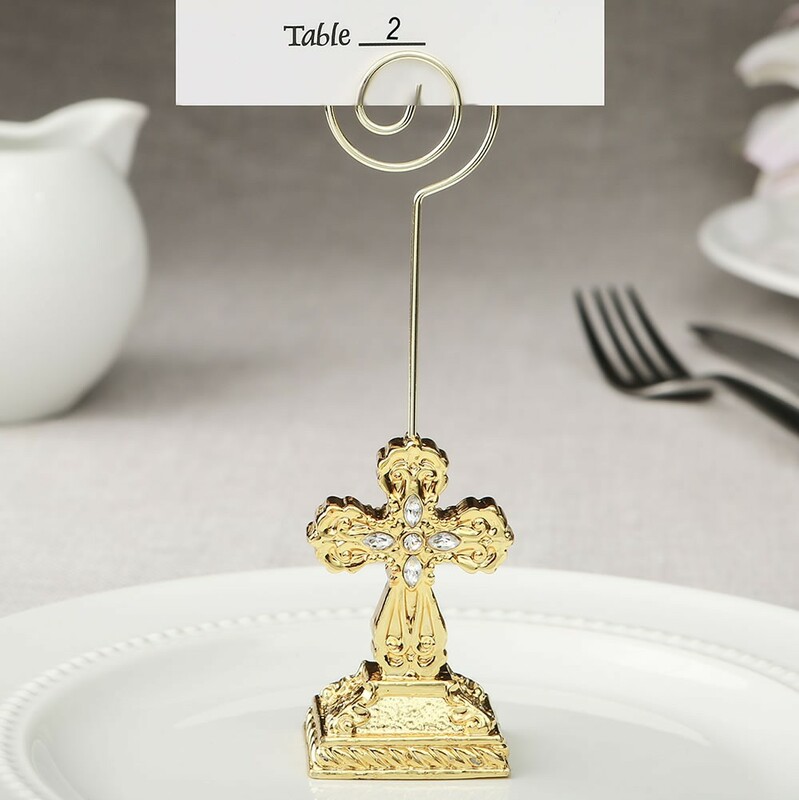 A lovely idea to display table numbers at your next religious event. Guests can take the Cross home to display a special photo of the time they shared with you. 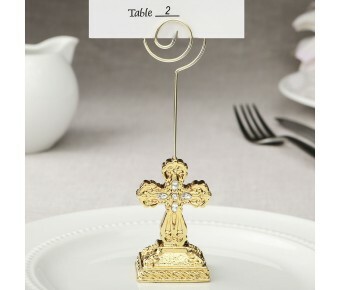 This Cross themed placecard holder features a gold Cross standing on an intricately carved base. The Cross and base are finished in a magnificent metallic gold plating. To accent the design there are 4 clear rhinestones in the center of the Cross. The Cross has a gold metal wire attached with a coiled top for easy insertion of a placecard or photo. A blank placecard is included. A great religious favor for christenings, communions, baptisms, confirmations or any other Christian themed event. A great religious favor for christenings, communions, baptisms, confirmations or any other Christian themed event!